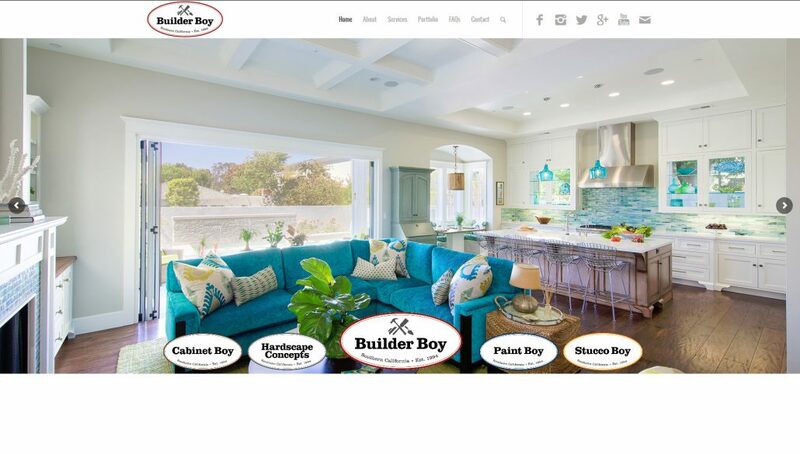 Builder Boy is one of the premier construction companies in the Long Beach and Orange County areas. Builder Boy is the main general-contracting company with 4 subsidiary companies: Cabinet Boy, Paint Boy, Stucco Boy, and Hardscape Concepts. They were created to separate the different aspect of home improvement that often confuse people. 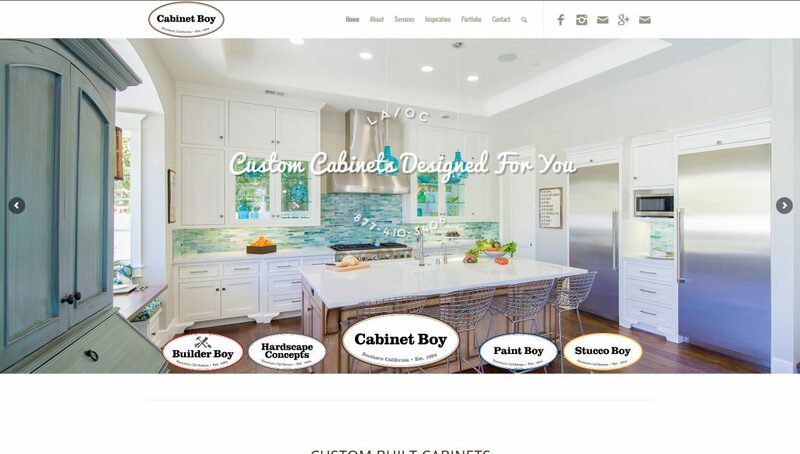 Cabinet Boy deals with mostly kitchen and bathroom cabinets as well as kitchen remodels. 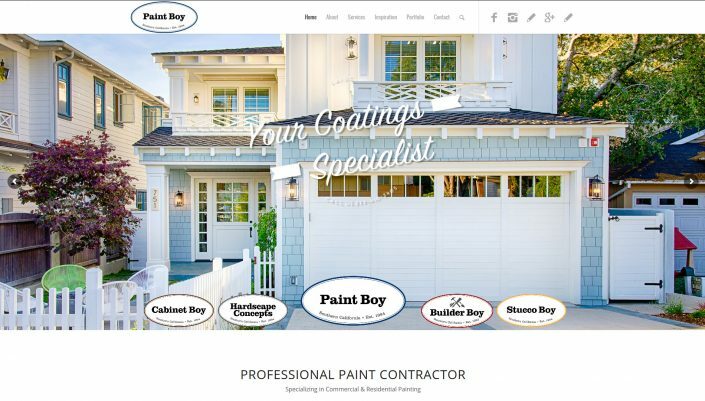 Paint Boy is for painting projects. 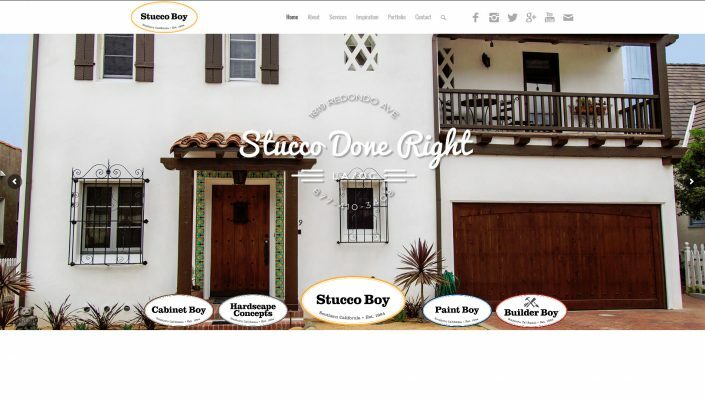 Stucco Boy deals with exterior home improvement. 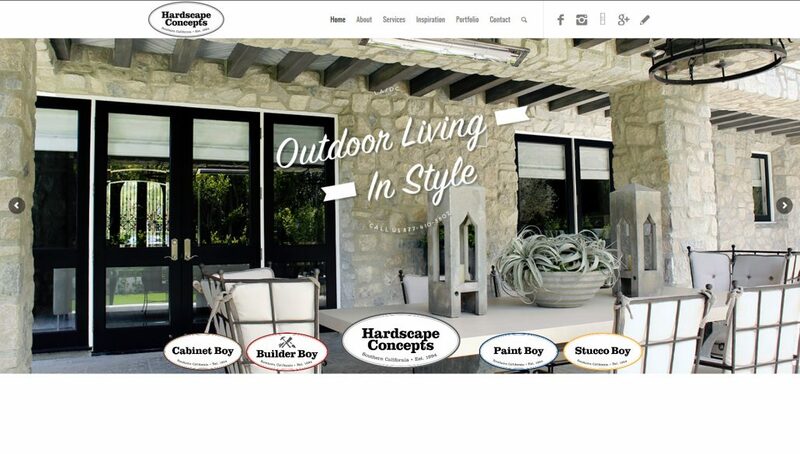 And finally, Hardscape Concepts is for any and all landscaping work. We created 5 different sites for Builder Boy and its companies so that we may better target the SEO to each particular contracting need. We attached a color scheme to each company that can be seen throughout each site. This was done to give each site a separate feel that still felt like it was part of a whole.